Small water reservoirs, made of PVC IZOFOL film. Construction of small water ponds, larger garden ponds and small pools. A stream pouring in the water would undoubtedly serve as an additional decoration. The stream may be powered by a pump installed inside the pond. Its bed can also be made with the use of the IZOFOL hydro-insulating film, manufactured by ERGIS S.A., that prevents water from leaking outside the bed. You can find other accessories in specialist shops (e.g. pumps, fountains and reflectors) which will be useful when building and decorating a pond. possibility of unassisted welding or gluing together to create sheets of any sizes. You do not need to be a specialist to build a garden pond using IZOFOL. First choose a location for your pond (a sunny place is recommended), then outline the shape of the designed basin and calculate the area of the pond for which the film is reguired. When the pit is ready, remove all sharp stones and objects, so that they do not tear the film. If it turns out that there is gravel or a rocky bed, it is necessary to cover it with a layer of sand several centimetres thick. The next step is to spread the film in the hollow space. Remember that the film should jut out approximately 30 cm over the edge of the basin. You should not stretch the film or expose it to sun for a long period of time. Now slowly fill the pond with water so that the film sits accurately on the basin. Flora and fauna will make your pond look natural; information on the right type of plant, fish and animals and guidelines on how to care about them are available at specialist shops and provided in relevant manuals. 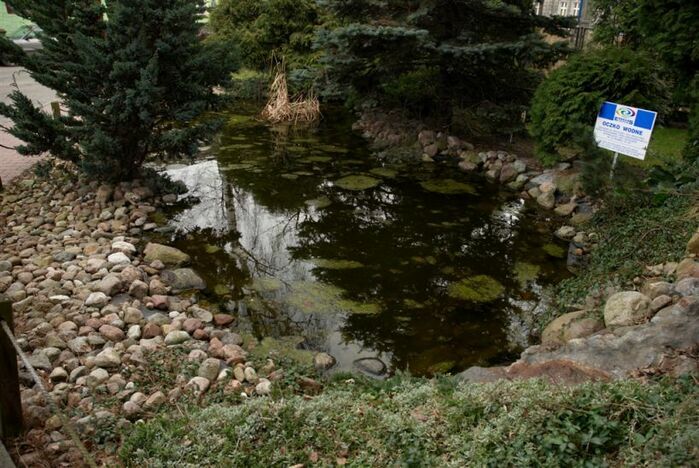 In winter, small ponds should be protected from freezing. A practical and inexpensive solution is to place a foamed polystyrene board on the surface of the pond, which can be anchored with a weight. In case of severe winters, it is recommended to cover the pond or use an electric heater.